We’ve been giving children the chance at a brighter future for more than 100 years. It started in 1909 with our founder establishing the Milton Hershey School for kids in need. The school continues to provide a cost-free education for more than 2,000 students along with skills and resources for success in all areas of life. 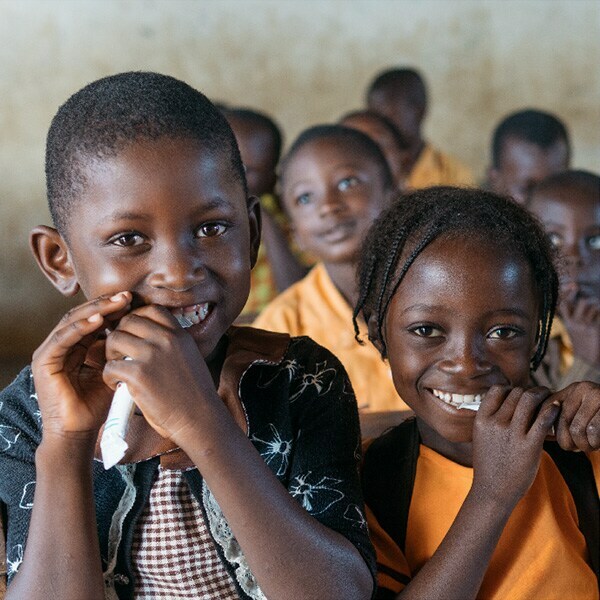 Today, we’ve extended this philosophy through our shared social purpose, Nourishing Minds, which provides children from the streets of Chicago to the villages in West Africa with the food, nutritious snacks, and educational support they need to perform their best in the classroom and in life. We’ve always believed that every child deserves the chance of a bright future. This started in 1909 with our founder establishing the Milton Hershey School for kids in need. Milton’s pioneering vision directly linked our company’s success to ongoing support for the school, ensuring that generations to come would continue to learn, grow and thrive.